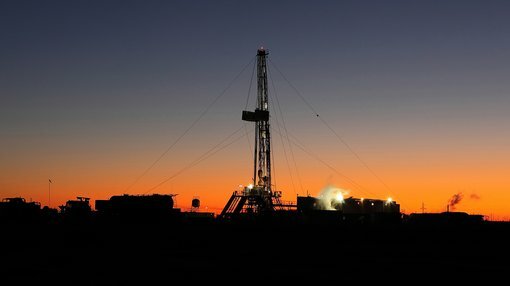 Transerv Energy (ASX:TSV) says it will re-test the Warro-4 well after its testing of Warro-5 and 6 showed water flow from the wells could be managed. It told its investors today that the ongoing flow at both Warro-5 and 6 was encouraging as it showed that gas could be produced from the wells. Historically, the Warro field has been plagued with formation water coming up to surface, severely affecting the ability of wells in the field to produce. Past producers also used a cost nitrogen lift process to try and get water out of the fractured area, meaning they were unable to test for long periods. TSV, however, used a jet pump to effectively de-water the fractures with water to surface gradually decreasing as testing has gone on. Using a cautious approach to Warro-5 and 6, TSV only fractured a small section of the main reservoir – fearing a large frac job could lead to water levels which would be deemed unsustainable. With new information from logging and the ongoing results at Warro-5 and 6 however, TSV thinks the time is right to re-enter Warro-4 and test it. 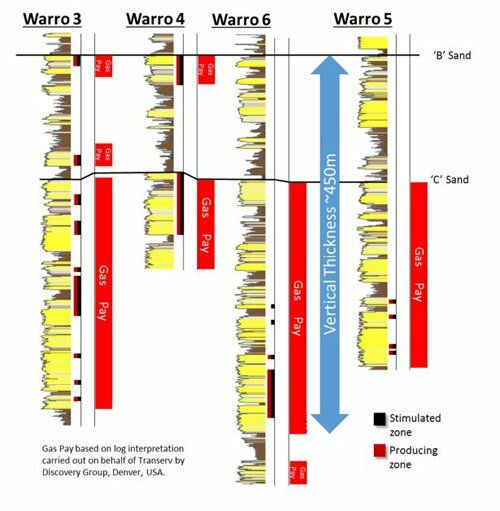 It also now thinks due to the information gleamed at Warro-5 and 6 that it will be able to frac a larger section of the reservoir safely and economically – ultimately giving TSV more information about the ultimate production profile of the field. Warro-4 has a larger testing zone than Warro-5 and 6 and targets the upper section of the pay. TSV’s reasoning is that Warro-4 offers a look at the potential of the upper zone of the gas pay at Warro, and that given the water troubles in the past a previous test was not conducted long enough. Previously, Warro-4 flowed from two zones at a combined 600,000 cubic feet of gas per day with about 650 barrels of water per day over two weeks. As the testing of Warro-5 and 6 with a jet water pump have demonstrated, however, is that the water level from the formation will go down over time.